The cutest little "Just Married" car dish! 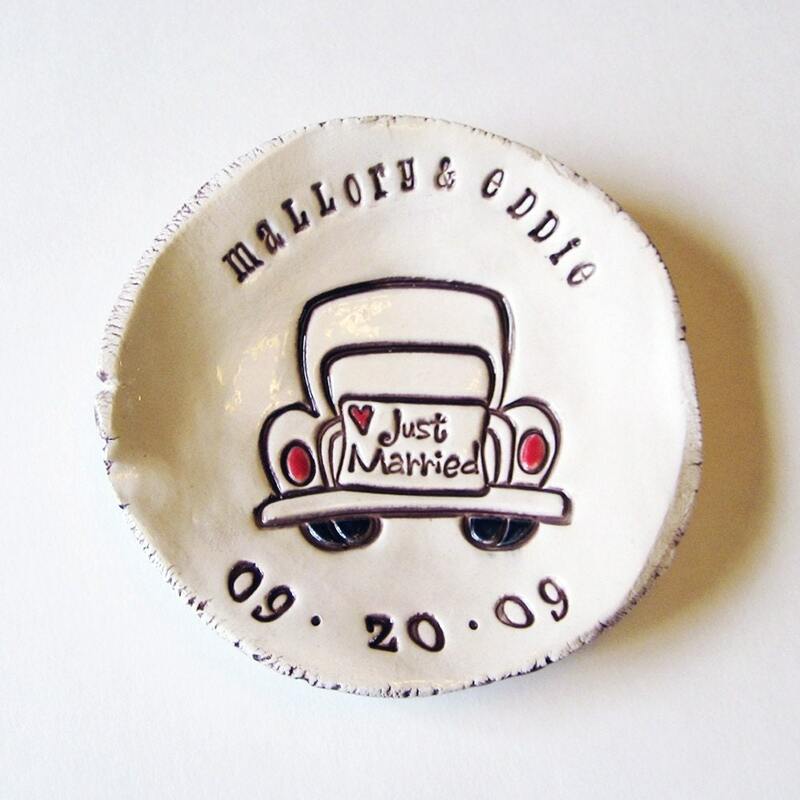 This little dish measures about 3.75" in diameter and features a car with a sign on the back saying "Just Married" with the happy couples names and wedding date. It is the perfect size for holding rings, extra change or any other small treasure! Each dish comes in its own little cotton bag! 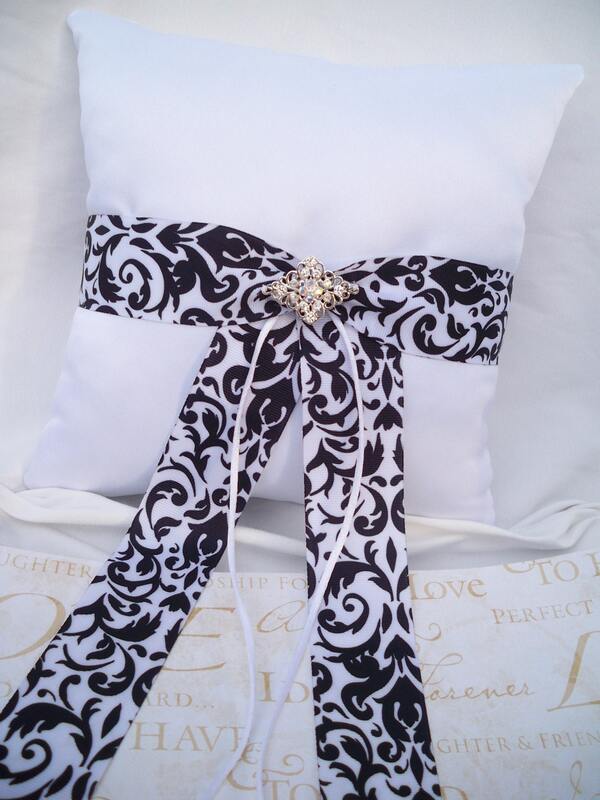 Picture your ringbearer carrying this elegant black & white pillow. It is made of heavy satin and damask ribbon with a silver crystal and crystal AB rhinestone charm. Thin satin cording is perfect to tie your wedding rings. Pillow Size: Approx. 8" X 8"
This bouquet is sure to be the perfect accessory for any bride! 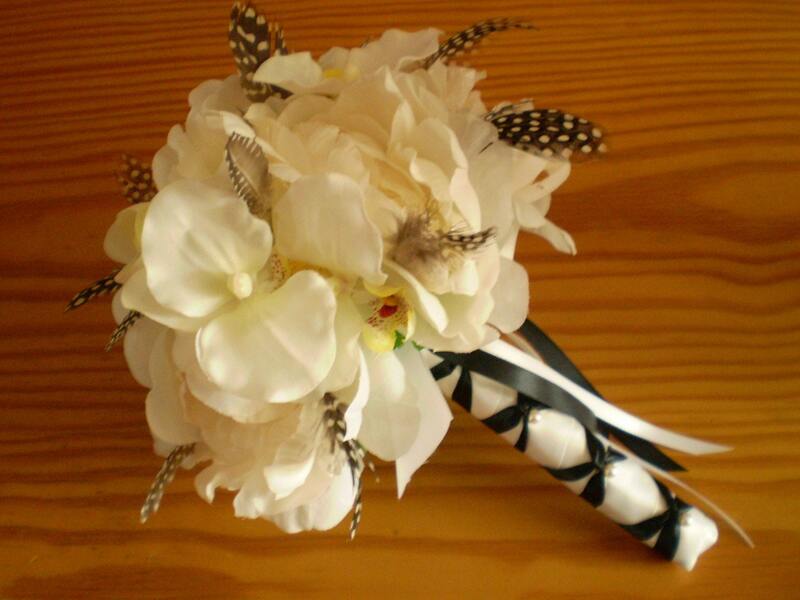 A matching white phalenopsis orchid boutonniere for your groom is included!